It’s hardly even a recipe – this is more like a list of ingredients that you throw into a bowl and stir together. But the result is fantastic – light, delicious, and springy. 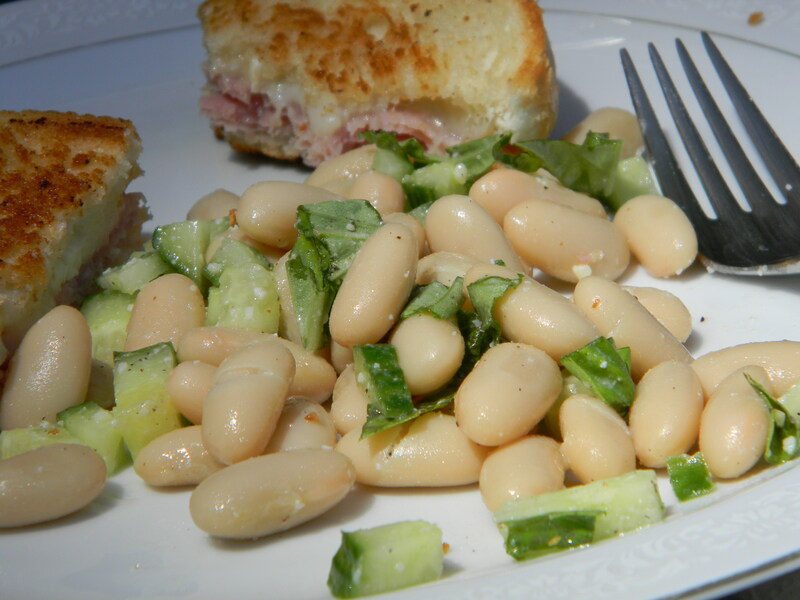 In the background, you can see the ham-and-brie grilled sandwich that accompanied the salad – that wasn’t bad either! We hope you have happy plans for this Easter weekend! !